When you hire a plumbing service, they are almost guaranteed to know how to fix your problem. 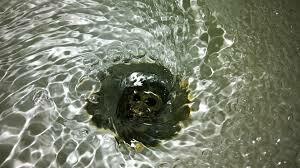 You might be embarrassed to call for a clogged drain but it’s nothing they haven’t seen before. They aren’t going to remember you six months later when you pass by each other in the grocery store as the person with the hair-clogged drain. No need to worry about what they think. The important thing is to get back to your normal showering routine. You may only be equipped with a plunger and some Nair hair removal cream, both good initial solutions to the problem. Your plumber, on the other hand, will have all the tools required for fixing any kind of plumbing problem. When it comes to a clogged drain there are multiple avenues you can take for repairing it but your plumber will know which route is the best so that this doesn’t happen again quite so soon. You may choose not to take their advice but at least you’ve had your best options laid out for you. Repairing a clogged drain can be a tedious task and you will probably become frustrated once or twice during the process. What may take you an hour to complete may only take your plumber 30 minutes (maybe even less). They are trained to complete things in a timely manner. While you may be hesitant that they will take their time as a way of padding the bill, you should remember that they have other appointments that they must get to. They don’t want to lollygag at one place for too long. They want to do the best job possible in a timely manner so you will hire their service again. Hiring a service for a clogged drain may seem like a waste of time, what with all the DIY home improvement videos and blog posts. Despite that current trend, hiring a service is the best route to take so that you get the best solution and don’t risk messing something else up by doing it yourself. Not to mention the frustration. They will likely even give you suggestions for how to keep this from happening again. It never hurts to hire a professional service and that can also lead to them detecting other problems that may have arisen, saving you money down the line. If you need help with your slow draining or completely clogged drain, please feel free to contact Rancho Cucamonga Plumbers at (909) 219-9588.